If you decided to buy the air receiverss from the Kharkov plant of industrial technologies, unfortunately, our sale department will not be able to help you. Currently Kharpromtech does not cooperate with the consumers of its products directly. But do not be upset! You always can buy the air air receivers from Kharpromtech at our official dealers. You can buy the air receivers for air at them at the manufacturer price both retail and wholesale. The contact details of official dealers are specified on the web-site under the section “Partners“. It should be noted that if you compare parameters “quality-price”, the air air receivers Kharpromtex is unrivaled, their ratio is just perfect. Vessels under the pressure – specialization of the Kharkov plant of industrial technologies, and we became the undeniable leaders in this niche. Vessels working under the pressure have the sufficiently complex production technology, and just must be of highest quality for correct performance of their functions. Kharpromteh doesn’t have any problems with this; each air air receivers is made in accordance with the state standards of quality. The qualitative production was evaluated not only by the entrepreneurs of our country, but also by their foreign colleagues. The regions of presence of products of the Kharkov plant of industrial technologies (vessels under the pressure): Ukraine, Russia, Kazakhstan, Poland, Germany. Before starting to produce the compressed air air receivers, engineers of the design office, which is located on the basis of the plant Kharpromteh, calculate the strength for each vessel. 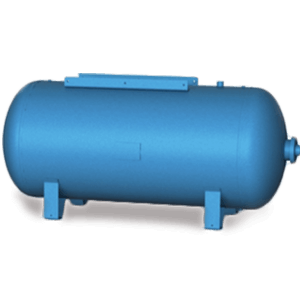 After production, high pressure vessels are subjected to mandatory testing under pressure. Tests are carried out by trained craftsmen on the stands specially equipped for testing. The strength of the welds does not cause doubts, because the welding is conducted in the inert gas atmosphere. 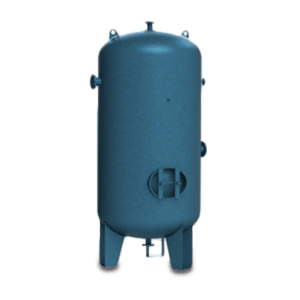 The pressure vessel surface is coated with the anti-corrosion coating.